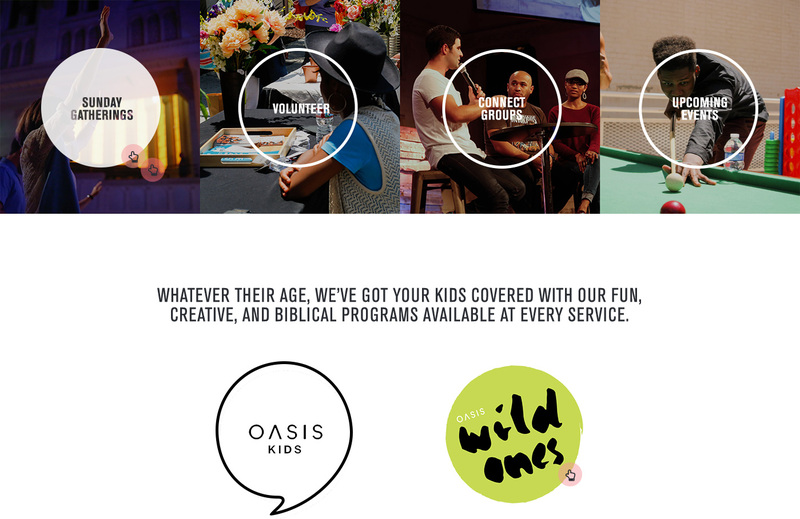 Not reflected in their original website: the fact that Oasis Church is a fun, casual, colorful, and joyful bunch. 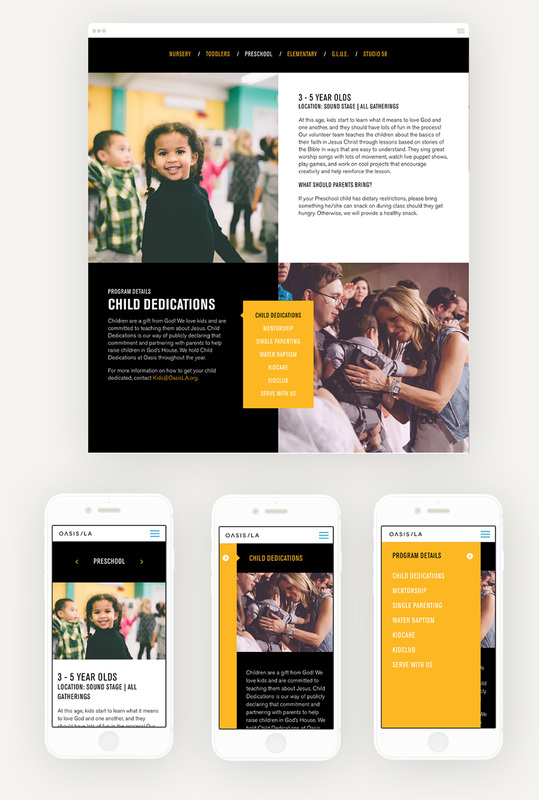 They’re a multi-generational congregation but have a flair for serving a 20-40 year-old age group, so our mission was to make the site feel fresh yet inclusive and exciting yet not overwhelming. How did we do it? Through a restructured sitemap, crisp design, conversational language, and special attention to mobile. Our Content Strategist hit the ground running by reconfiguring the organization of all their content. Slimming down their sitemap to make user flows as simple and intuitive as possible, she matched that simplicity with copy that was short and sweet. By working closely with the team at Oasis, language guidelines were put in place that adhered to a strict policy: if you wouldn’t say it like that, then don’t write it like that. Armed with a new color palette and new photography, we set out to design an inspired, clean, and engaging interface. 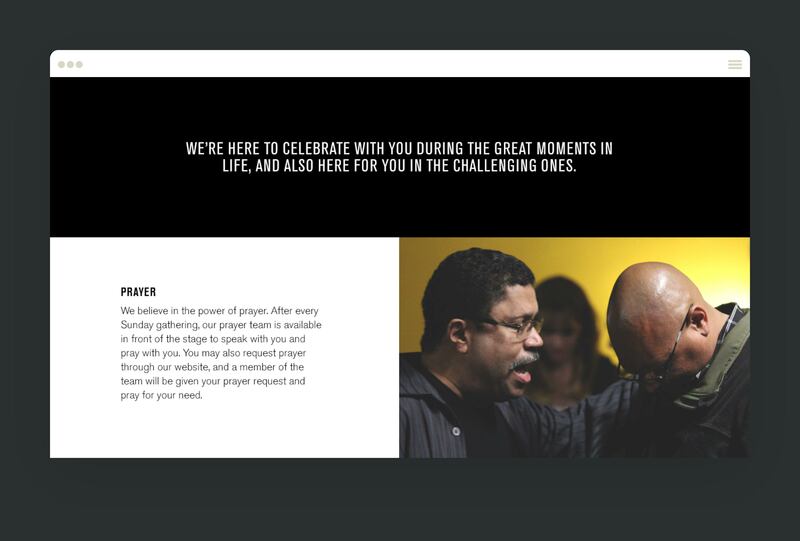 Taking a cue from their logo, we played with geometric shapes, fresh font combinations, and design elements that could be used for lots of different purposes should the spirit move them to build more pages down the road. 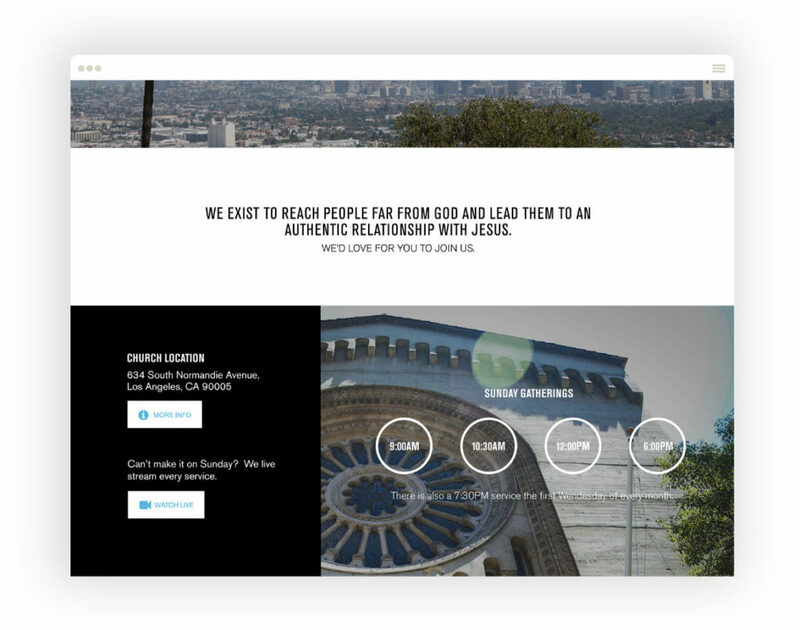 To up the liveliness factor, we utilized hover effects to encourage interaction between the website and the visitor. There was a lot of information that needed to smoothly translate onto mobile. Solution: two different tab solutions. One was a simple tab that displayed at the top of the information and transitioned into a slider on mobile. The second was a little more creative and mobile first. The tab options would slide out, allowing a transition between the different options. We had a lot of first time guests on Easter who came because they found our website and info on there. 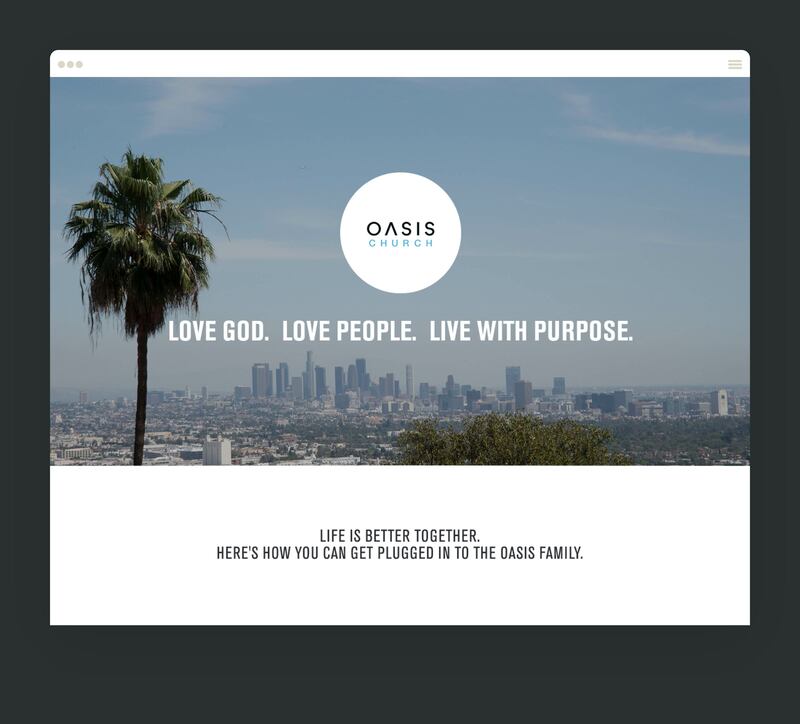 Our kids Pastor shared a story of a new family with a child with special needs who came to church because of the info provided about our GLUE class at Oasis Kids, and loved that all the info and instructions were on the site, so they were able to arrive prepared and ready for service.